Phoenix Arizona is one of the largest areas for the iron door industry and Signature Iron Doors is the metro's leading ironwork manufacturer. All our iron is hand forged and built to endure in durability and beauty. This is an entry door remodel we did for a family near Phoenix Arizona. They worked with our sales team to find a design they liked and our designers worked with them to custom make it unique to their home. 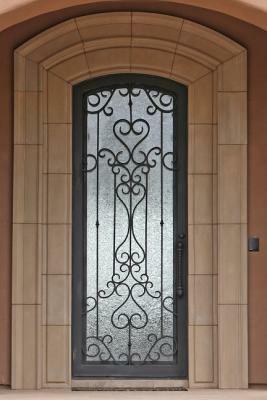 Call us and come visit our showroom in Phoenix Arizona to discuss your home’s iron work possibilities.